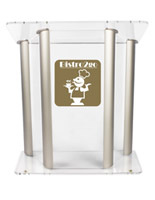 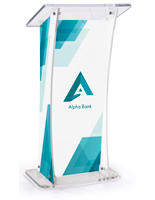 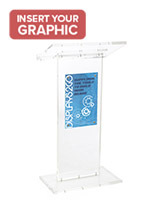 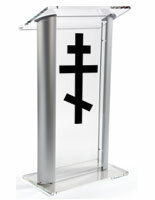 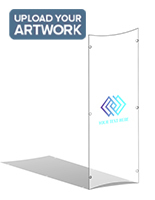 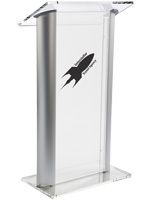 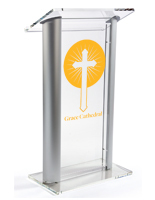 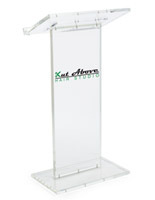 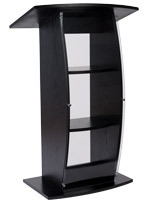 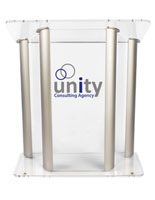 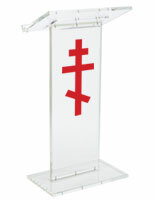 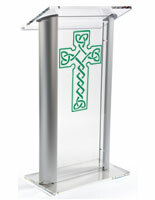 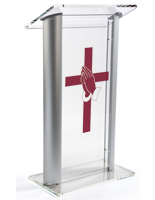 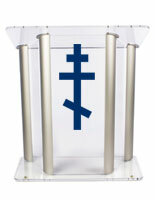 For those looking for the ultimate in contemporary lectern design, your search is over. 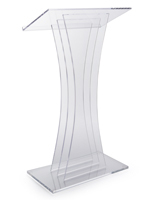 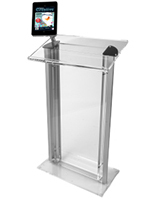 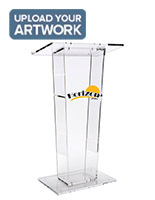 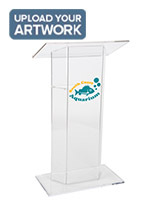 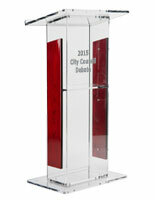 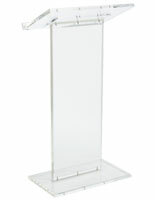 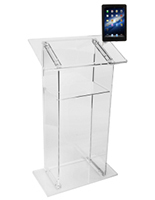 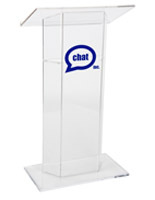 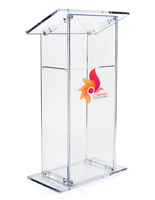 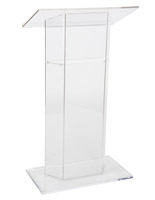 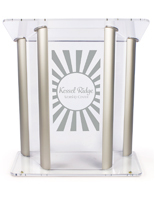 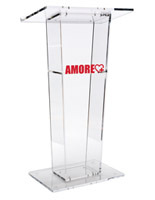 Our clear podiums offer everything a modern interior calls for: clean lines, functional design, and modern materials. 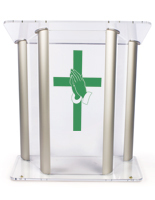 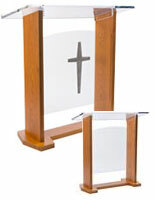 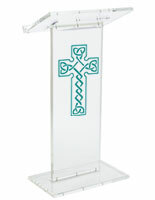 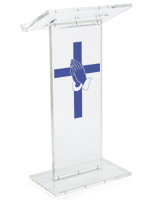 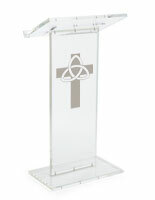 This pulpit collection offers a number of variations in addition to the acrylic-only models. 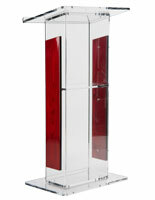 Substituting the supporting uprights with wood or aluminum adds another accent to the overall presentation. 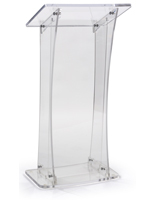 Clear podiums paired with wood provide the best of both worlds, adding warmth to the transparent material. 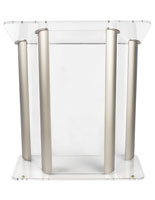 Models featuring extruded aluminum details come with anodized silver finishes and are an excellent match with the acrylic. 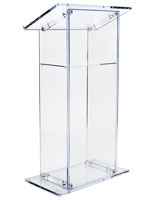 But the real stars of the show are our 100% clear models. 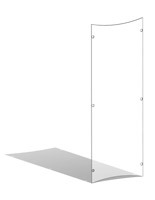 Their construction boasts a couple of interesting features. 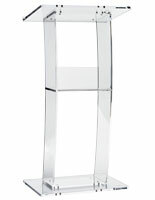 First off, all edges are machine polished to a reflective shine. 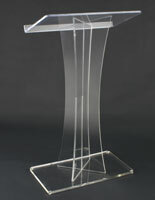 This manufacturing process is what elevates the look of the acrylic and it adds extra visual dimension to the material. 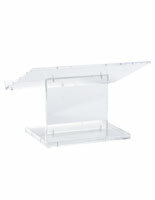 Some models ship fully assembled without any visible fasteners via acrylic solvent (the glue, so to speak). 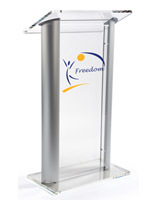 These provide the cleanest lines and present the essence of what "full vision" is all about. 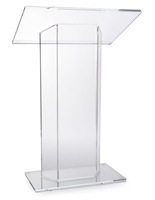 On the other hand, podiums that ship flat and require assembly must have some form of fastening system. 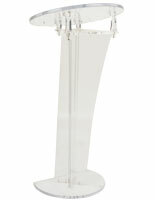 All parts screw together using heat-set inserts. 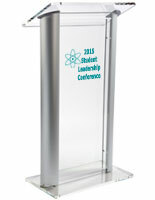 They look like small cylinders with inside threads that accept the screws. 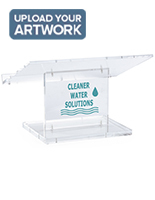 A special machine embeds them into the acrylic plastic using heat and pressure. 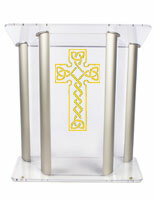 Once the optimal heat setting is reached, the inserts sink into the acrylic like a knife through butter. 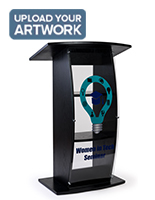 Final assembly is accomplished with cap screws and an allen key, taking mere minutes to complete.